This is quite a brave article. Thanks a lot for posting here. It helped me have more courage to see things I may not want to admit. I love letter to the editor. And what’s funny is that multiple of my male coworkers (past and present) actually sent this to me. 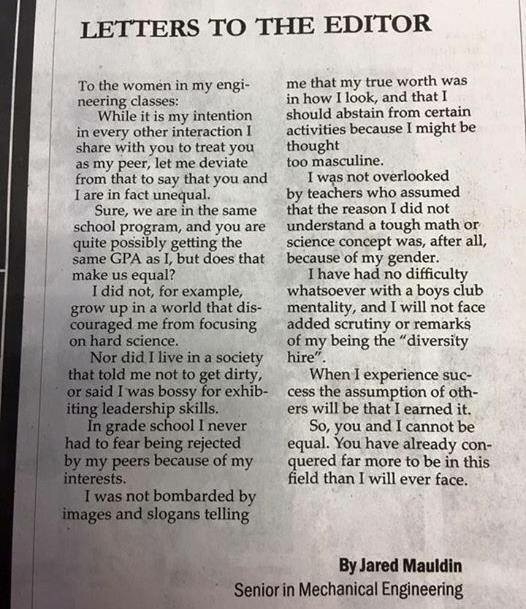 Goes to show there are people who understand how hard it is to be a female engineer!